As the year winds down, many thanks go out to the region presidents in Zone 7 whom volunteered to help run their regions. Along with their boards, thanks for stepping up and pitching in for your region and your club. A big thanks also goes to all the Zone 7 chairs that have volunteered all year. Rik Larson-Zone Secretary, Barbara McCroy-Zone Treasurer, John & Honore D’Angelo-Zone Concours, Collin Fat-Zone Autocross, Larry Sharp-Zone Safety, Richard Chew-Zone Website, David Bunch-Zone Facebook. I couldn’t do what I do without all these volunteers. The Zone 7 Banquet was held on November 10th in Concord, Ca. It was a time to give out thanks, many trophies and a bunch of door prizes. There were 28 Zone Autocross series trophy winners and Collin Fat presented the awards. A few highlights were Andrew Blyholder taking 1st Place in Men’s PAX and Corrin Vanetti taking 1st Place in the Woman’s PAX along with Rookie of the Year. In the Zone Concours series, there were 12 winners presented by John and Honore D’Angelo. After the class winners, Simone & Thorseten Kopitzki took overall in the Touring Class and Jim McMahen took overall in the Street Class. Congratulation goes to Matthew & Natalie (age 6) Howard who received the Rookies of the Year in Concours. The Howard’s are quite the Father/daughter team and help at each event. Also given out was the Zone 7 Event of the Year Award for 2018. 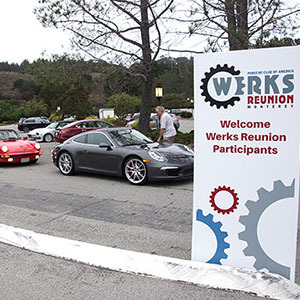 This year it went to Werks Reunion #5. Although this is not a Zone 7 event, it happens in our backyard and it takes so many volunteers from within Zone 7 to make it a success. Thanks to all the Zone 7 volunteers over the past 5 years helping to make Werks a continued success. The last two awards given out were for the Zone 7 Wall of Fame. 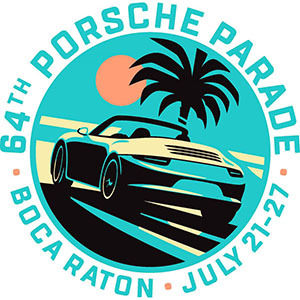 This award was started in January 2003 by Tim Fleming to recognize those members of Zone 7 who have made a lasting contribution to PCA and the Porsche community at large and beyond their region. For more information and past winners, please see the Zone7.pca.org website and then Zone 7 Awards. This year, Paul Czopek, past Yosemite Region President and Past Zone 7 Representative was honored along with Craig Kugler, past Sierra Nevada President, Liaison for Treffen, PCA Audit Committee and Region Finance Chair. Thanks gentlemen! Keep up the great contributions. Thanks go to Griots Garage, Pelican Parts, Werks Reunion, PCNA and PCA HQ for sending lots of wonderful door prizes for the evening. And finally thanks to Zone 7 for letting me be a part of so many of your regions events over the past 3 years. I have had some of the best times with you. I have made so many new friends and see so many welcoming faces when attending your events. Thanks for the memories and more to come!